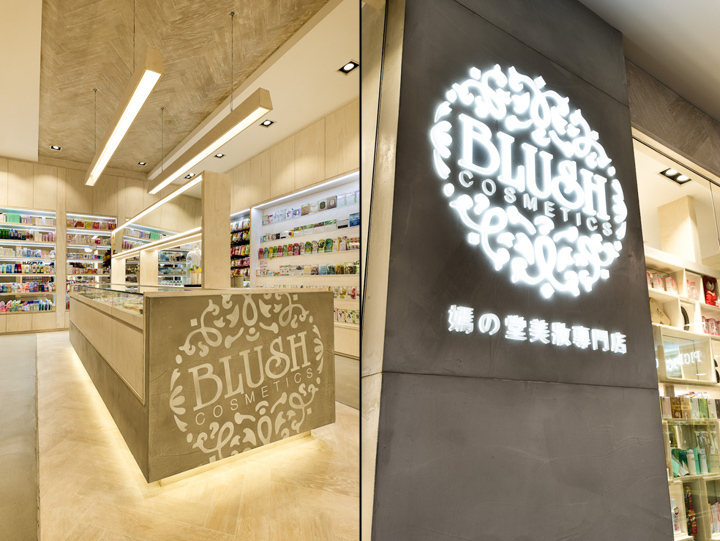 A new flagship store in Central Park, Sydney was developed for Blush Cosmetics selling the latest cosmetics, skincare products and beauty supplements from Japan, Korea and Taiwan. 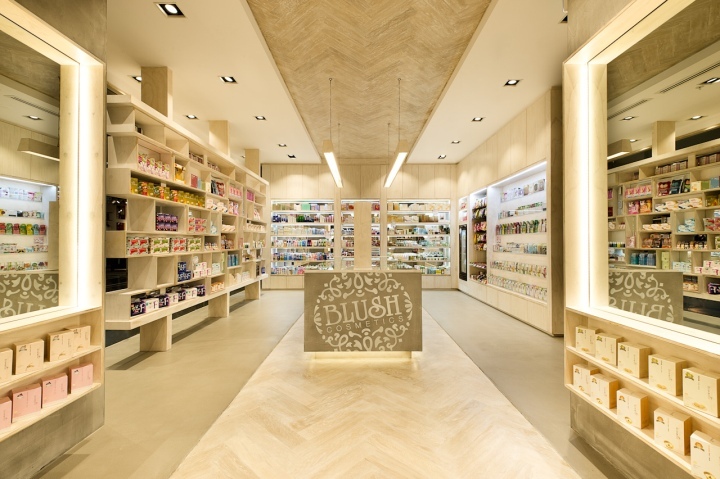 With a few stores already running in Sydney, Blush Cosmetics approached us to develop a larger store concept to showcase a broader range of imported Asian beauty products. 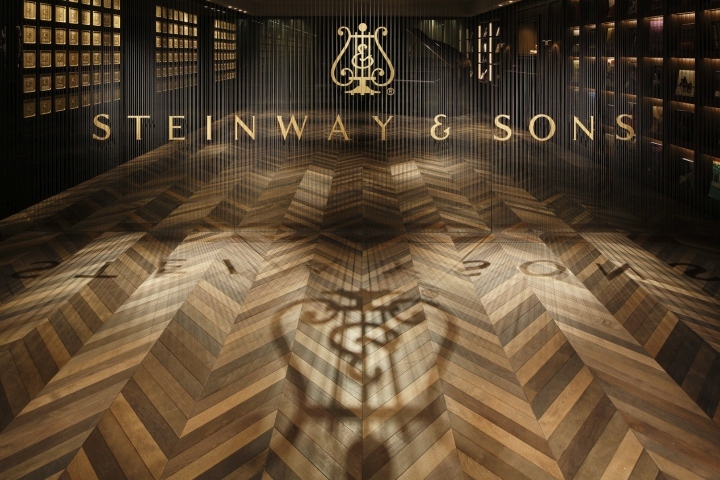 With only two weeks to design and document the concept, we deliberately chose a simple palette of concrete, whitewashed plywood and herringbone flooring. 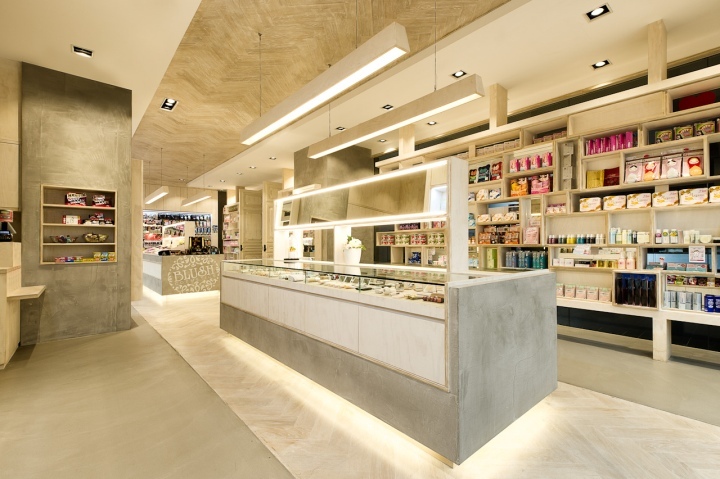 A basic shelving format with plenty of storage for extra stock was developed, integrating plenty of LED strip illumination for product display. 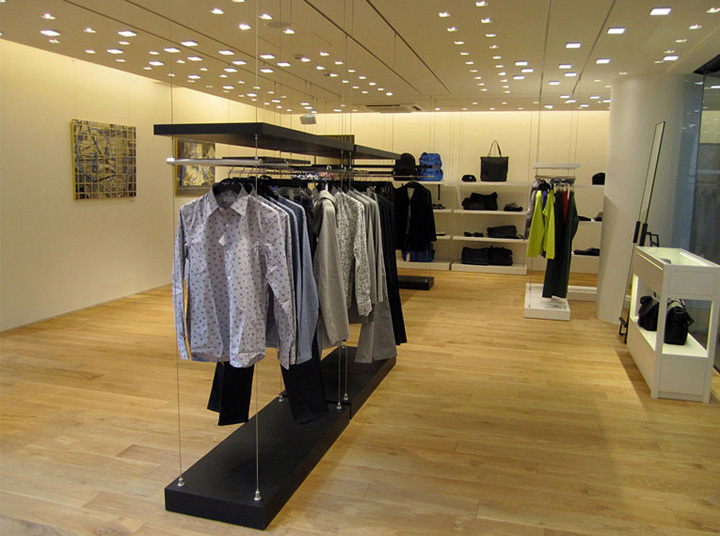 Adjustable mirrors with edge lighting to reduce facial shadows on customers when testing make-up, as well as custom pendant lighting over the mid floor benches. 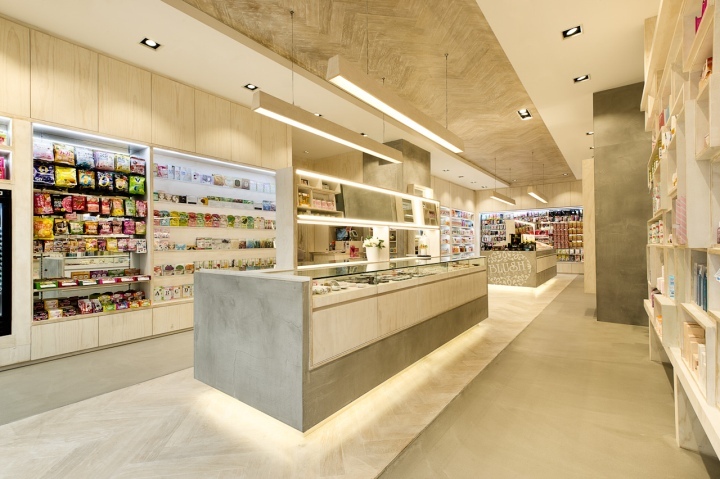 The store commands a wide shopfront to the entire mall, so we maximised this with full height glazing and a custom double sided box display cabinet, along with full height custom designed doors with distressed paint effects. 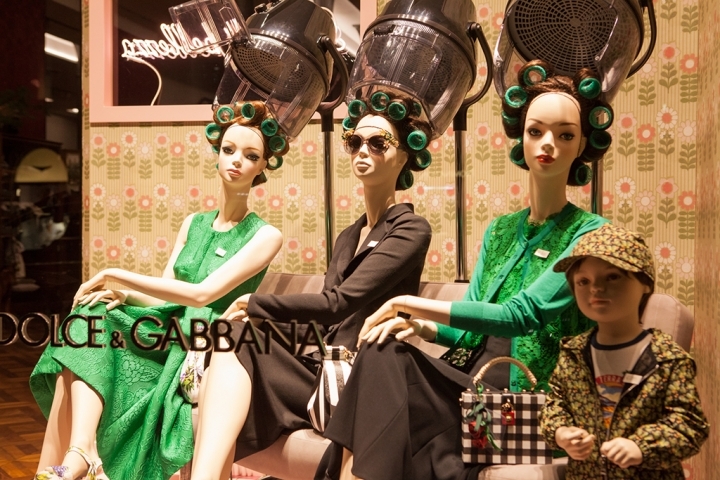 A small treatment room at the back of the store introduces an additional beauty service not provided in their other stores, which allows customers to try before buying.